One of the best things about living in the Pacific Northwest is the ability to get in your car and let adventure find you. There are so many great natural locales within a few hours of Seattle, and exploring those places is one of my favorite past-times. 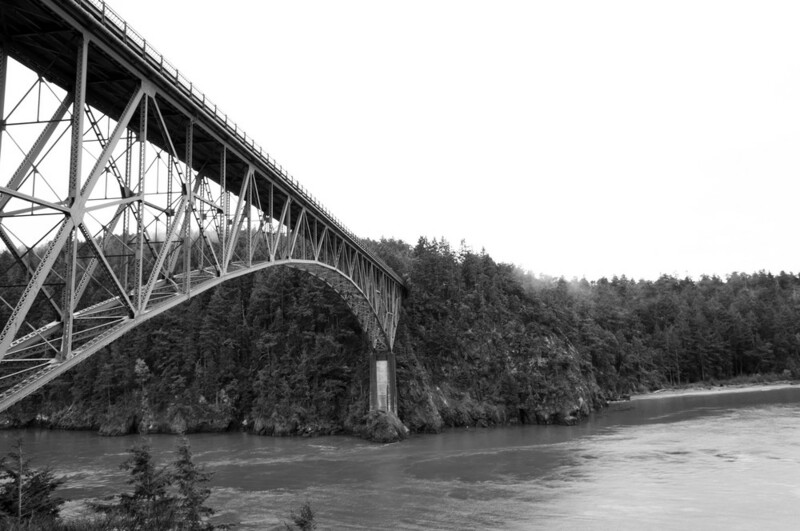 It took a while, but I finally made the trip to go see Deception Pass, or, as instagrammers call it, That PNW Bridge! It only took about 1.5 hours to get there with no traffic. This bridge connects Whidbey Island to the the Fidalgo Island and the rest of the state, so that you don't necessarily have to take a ferry to get there. It's near both Anacortes and Oak Harbor, which are great for stopping in for lunch on a day trip out to see Deception Pass.